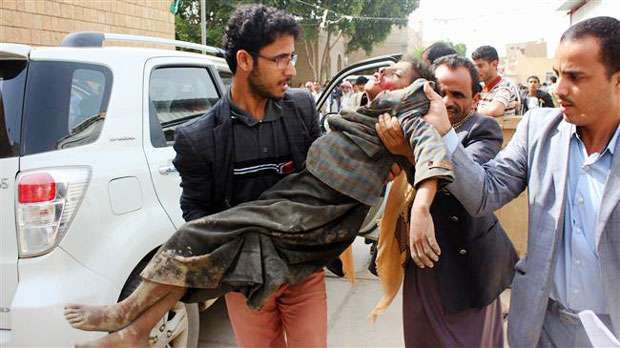 The evidence that has come out from the UN and NGOs makes clear, without any reservation or ambiguity, that on August 9, dozens of schoolchildren on a bus in Yemen were killed by a Saudi Arabian air-strike, and that American-supplied weapons had been used, and probably British too. Criticism of Saudi Arabia and its partner in crime, the United Arab Republic, has been increasing over the last year. 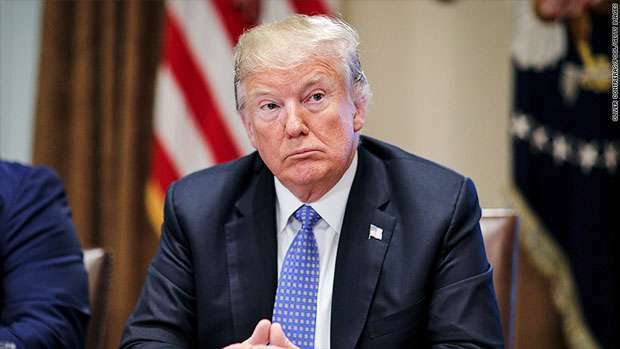 The US is not a partner in the actual fighting but, started by President Barack Obama and continued on a larger scale by President Donald Trump, the US doesn’t only provide weapons it has provided intelligence, warplane refueling and guidance technology for missiles and bombs. This is reminiscent of when the US supported Saddam Hussein’s war against Iran, some years before Saddam himself became the West’s opponent. Although Saddam used a weapon of mass destruction -- chemicals -- the US, then led by Ronald Reagan, such was its obsession with the sometimes militant Islamism of Iran, stooped low and turned a blind eye. It also provided intelligence to Iraq. Today the justification for the arms sails to Saudi Arabia is that Iran is meddling in the civil war aiding the dissident Houthis. The Houthis are no paragon of virtue but neither are they able to engage in bombing from the air. There are calls that Saudi Arabia, the US and Britain be referred to the International Criminal Court, and its leaders prosecuted for war crimes. Charges against the US are already being considered by the Court for actions committed in Afghanistan. Apart from the criminality of these child-killings these countries are in breach of the UN Arms Treaty. Governments that sign up pledge to halt the export of weapons they think will be used in defiance of international humanitarian law. Supporters of British arms’ policy towards Saudi Arabia say that Britain’s edge in military aviation depends on sales to Saudi Arabia. However, in 2008, the British High Court ruled that Prime Minister Tony Blair broke the law when he halted an inquiry into corruption in a massive arms deal with Saudi Arabia. It was Britain’s greatest ever export contract. On March 26th 2015 the Obama Administration announced that it would start providing to Saudi Arabia and its Gulf allies logistical and intelligence support. A day later at a Senate Armed Services Committee hearing the US Central Command commander, General Lloyd Austin, the general in charge, was asked what the ultimate goal of the air campaign was and to estimate its likelihood of success. 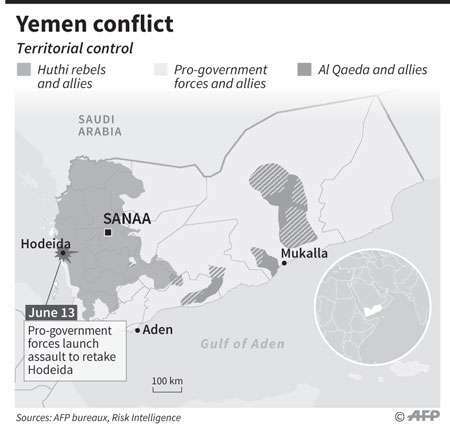 Austin replied, “I don’t currently know the specific goals and objectives of the Saudi campaign against Yemen, and I would have to know that to be able to assess the likelihood of success.” Shortly after an anonymous Pentagon official said, “If you ask why we are backing this war is that we weren’t going to be able to stop it”. Off-the-record comments by Obama officials said that the military aid was a way to win the Gulf countries’ support for the Iran nuclear deal (now abandoned by Trump) which limits how far Iran can precede with its nuclear activities. Today the US military claims that it doesn’t even track the results of the Yemini missions that its forces are involved in. Trump and his Secretary of State, Mike Pompeo, have said not a word about the school children atrocity. They have delegated the problem to the UN which over recent years has sent its peace envoys to try to arbitrate the conflict and provided humanitarian aid. The US and Britain have not learned from the mistake they made in toppling the regime of Saddam Hussein which unleashed anarchy inside Iraq. Whenever the US intervenes in the Middle East or supports others’ interventions it creates more problems than it solves. Fighting Iran’s proxies with the US’s own proxies is the latest bad idea. Obama should never have tried to make the nuclear treaty with Iran more palatable to its Middle East allies and the Senate by militarily, if indirectly, confronting Iran. Making use of that benign time it should have engaged in negotiating the issues that Iran felt strongly enough about to use military force- supporting Assad in Syria, Hezbollah in the Lebanon and the Houthis in Yemen are the three (although the support for the Houthis is much less than is often made out). Given the goodwill generated by the nuclear accord Iran could have continued to be a friendly negotiating partner. Such negotiations would probably only bring slow results but it would be more productive than confrontation. The US seems never to miss an opportunity to miss an opportunity.